Cheap calls to United Kingdom from just 0.5c per minute with no contracts or hidden charges. 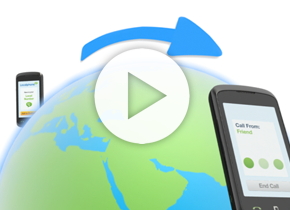 Phone United Kingdom for less with Localphone—sign up now and your first call is free! All Toll Free Numbers Free! Landline rates include numbers starting 441, 442, and 443, and mobile calls include calls to Vodafone, O2, T-Mobile, Orange, and Three networks. For landlines starting 445, 4470, 448, and 449, or mobiles networks other than those listed above please click here to find the rate per call. From 1st July 2015, the charge for calls to service numbers beginning 084, 087, 09 and 118 consists of a 12c access charge from Localphone, plus a service charge set by the company you call. Because our calls are free from hidden charges like connection fees or expensive access numbers, Localphone is cheaper than calling cards to United Kingdom that may advertise a lower rate. Our Local Numbers service makes calling United Kingdom easier than ever before. Just tell us the number that you want to call and we’ll give you back a local number that connects straight to it. Save that number to your phone and use it to call United Kingdom whenever you want. All you pay is the price of a local call (usually free) plus a small per minute amount to us. Phone United Kingdom from your computer with our Internet Phone VoIP service. Get the same great rates to United Kingdom from anywhere in the world with a broadband Internet connection, including free calls to other Localphone users. To call United Kingdom from your computer just download our free desktop Internet Phone. Our Global SMS service lets you send cheap international texts to United Kingdom. Just type in your message online and tell us which number to send it to. The text will look like it has come from your mobile phone. See our SMS rates for United Kingdom.